In the beef business everyone focuses on the grass. But beef is 75% water. 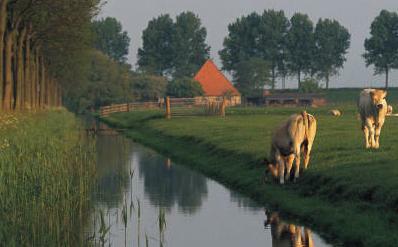 Livestock water is just as important to cattle weight gains as forage. Water is not just about cattle survival. It is also key for maximizing your cattle's weight gains on pasture! Limit the amount of water available to your cattle herd and your cattle will limit how much they eat. Digestion requires water, and lots of it. Appetite goes up or down depending on how easily your cattle can quench their thirst. And that directly affects their weight gains. Water quality matters too. If your water source is poor quality or tastes bad, your cattle will voluntarily limit how much they drink. There is a big difference between drinking enough to survive and drinking enough to maximize cattle weight gains. Easy water access is also critical for maximizing cattle weight gains. Water is such an important resource that if your cattle get any sense that it might be a limited resource, they will forego extra grazing time in favor of monopolizing access to the trough. Slow trough refill rates, insufficient space to access the trough, or line-ups to gain access will turn the area around the livestock water trough into a high-stress battleground. Time spent competing for water access is time spent not grazing, which equates to lower weight gains. And soaring cattle stress leads to increased disease vulnerability and erodes beef tenderness and flavor. How you design your livestock water system and the effect that it can have on cattle weight gains can make the difference between a profitable and a losing year. So beware of how you design your cattle watering system - it isn't enough just to have sufficient water available on paper, you also have to design your cattle water system to account for cow psychology so that water doesn't become a source of stress and social tension in your cattle herd. Water is a central keystone in a long line of dominoes that all have to work smoothly together to create a well-functioning beef production strategy. To learn more about how to fine-tune your cattle watering system in your grazing program, check out the articles listed in the livestock water section of my website. 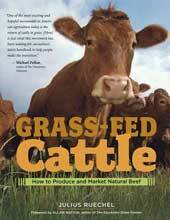 And for even more information about how to set up the best cattle watering system for your farm, check out my book Grass-Fed Cattle: how to produce and market natural beef. It has lots of hands-on water site construction tips, innovative pumping systems, creative water storage solutions to fit any grazing program, and lots of in-depth insight into the cow psychology that goes on around the water trough.